This is a dish I have made for more than a decade. 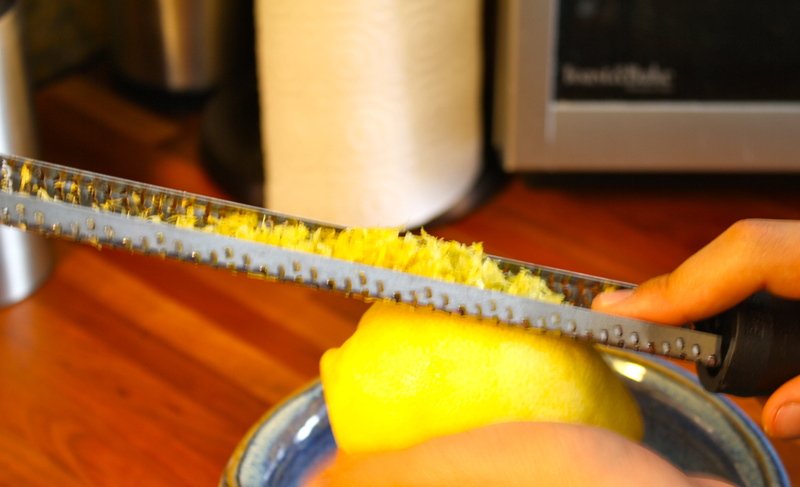 It’s quick and easy and makes your mouth happy. It is one of my son’s favorite things for dinner. Perfect with fish, but we have eaten it with lots of things. Sometimes all by itself when you’re not starving, but you still want something with lots of flavor. I usually add broccoli, because I am always trying to get more veggies in my men folk. That is how you will see it here, but you can do what you like with it and to it. It does not disappoint. Put a large pot of water onto boil, salt if desired. Add pasta to boiling water and cook according to package directions. Drain and return to pot. Melt butter. 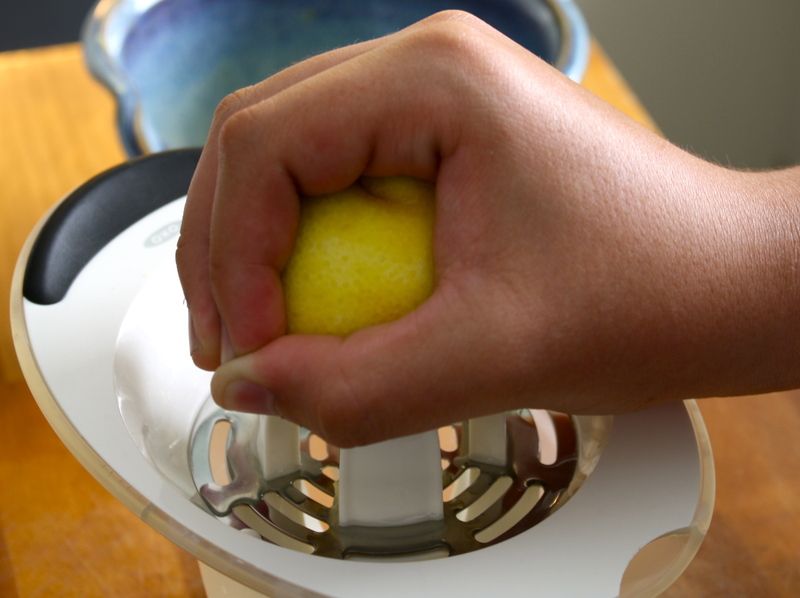 Add lemon zest, lemon juice and olive oil in a medium size bowl. Mix and then add sour cream and black pepper. Mix again. Remove large stems for fresh parsley and chop finely. In a microwave-safe container, cook broccoli until just tender (about 3 minutes) and drain any excess water. Set aside. 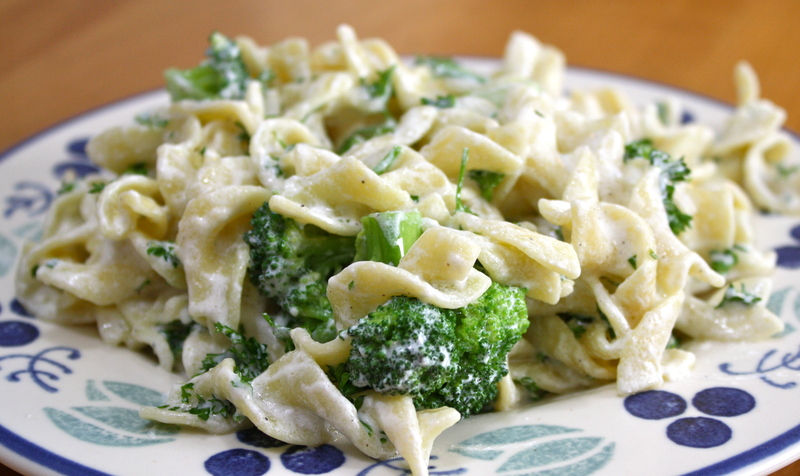 To cooked and drained pasta, add sour cream sauce, broccoli and parsley. Stir until mixture is well coated with sauce. Add Parmesan if desired. Serve immediately. Enjoy! I have to try this! Looks delicious! Yum! Your pasta looks so fantastic!